GERD is not a dangerous disease and can be treated easily. However, if you let it last for a long time, you may experience some complications such as chronic sinusitis, reflux esophagitis, esophageal reflux, esophageal cancer, and even sudden death in some cases of young children. There are many ways for you to get rid of this disease such as going to the hospital or applying some of the home remedies for GERD that work naturally. 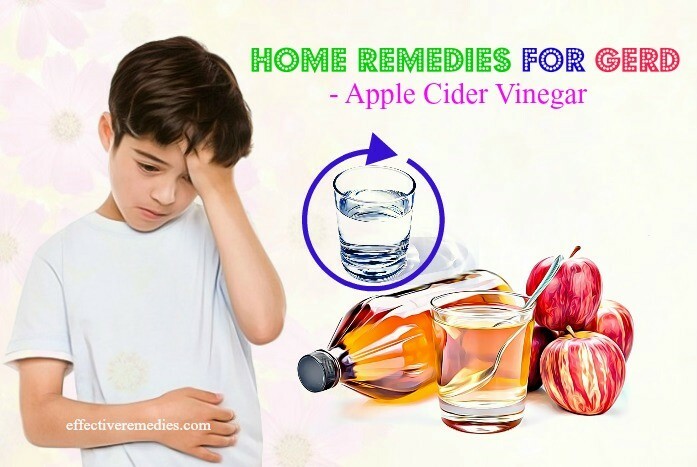 In today's article, Effective Remedies will introduce to you 15 most effective home remedies for GERD symptoms in adults and children with familiar ingredients in your home kitchen. GERD, also known as Gastroesophageal reflux disease, is a gastrointestinal disorder that affects the stomach, muscular ring between the esophagus and the lower esophagus. Chest pain: Chest pain usually occurs due to stomach acid goes to the esophagus. This is one of the most significant symptoms of GERD. The pain can last longer and be stronger than imagined; therefore, some people mistake GERD for heart disease. Heartburn: This is the feeling caused by gastric reflux into the esophagus. In the typical case, heartburn occurs after meals or nighttime coughing due to lying posture. Heartburn will occur more regularly when drinking alcohol or consuming sour drink. Bitter mouth: In some cases, stomach acid can reflux into the throat, producing bitterness in the mouth. If you catch this symptom, especially at night, you should see your doctor. Nausea, vomiting: These symptoms usually occur due to a change of posture or an exertion. Gastric juice refluxed does not taste and can be mixed with undigested food. Difficulty swallowing: Over time, GERD repeats and cause certain damages to the esophagus. This disease can result in swelling of the lower esophagus, narrowing the esophagus, and then leading to difficulty swallowing. When the disease is worse, you may notice other symptoms such as blood vomiting. To prevent complications, you need to know the initially symptomatic for immediate treatments. Unhealthy diet: For people with abnormal diet as well as living, the risk of GERD will be higher than normal ones. Apple cider vinegar helps balance the acid level in your stomach and supports your digestion. 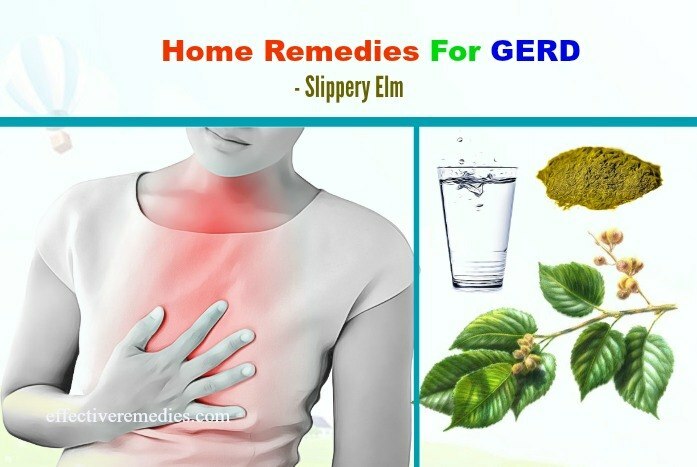 It is considered as one of the most effective ingredients to make the homemade remedy for GERD. However, experts recommend not to use the organic apple cider vinegar. In addition to the effects for skincare and treating some simple skin diseases, aloe vera is also very useful in removing the symptoms of GERD. Aloe vera has anti-inflammatory properties, so it helps soothe inflammation in your esophagus and stomach thus, preventing GERD. The aloe vera leaves also help cool the stomach, thereby calming the heartburn. Europeans have used aloe vera as a homemade remedy for GERD for many centuries. It’s recommended to prepare aloe vera juice for one time. You should not keep the juice in refrigerator for next use. Mustard contains vinegar, a weak acid, and alkaline which help neutralize acid level in the stomach effectively. In addition, yellow mustard contributes to reducing the pH level in your stomach thus preventing GERD. When having this disease, try applying yellow mustard as the natural home remedy for GERD. Chewing gum to remove the discomfort caused by GERD has been shown to be effective by scientists. This study was published in the Journal of Dental Research. Chewing gum will stimulate the production of saliva to wash off the acid and neutralize acid level in your stomach. You can chew sugar-free gum after every meal to prevent GERD. However, you need to avoid mint gum as it will stimulate esophageal sphincter relaxation, which will cause acid reflux. Slippery Elm includes demulcent which contributes to coating the lining of your stomach and your esophagus. This herb also has anti-inflammatory properties and soothing effects that can relieve the discomfort caused by GERD. However, the secretion of mucus into the gut wall of the slippery elm will reduce the osmotic effect of the drugs. So you should use the slippery elm tea 2 hours before taking any medication. Fennel consists of a compound called anethole, which has anti-inflammatory effects for the gastrointestinal tract. Not only that, this herb is very beneficial for reducing stomach cramps and improving your digestion. Baking soda is a natural antacid that helps neutralize acid level in your stomach and reduce the symptoms of GERD rapidly. However, people with high blood pressure should not use baking soda as a home remedy for GERD as it contains sodium which will affect their health. Baking soda should only be used as a temporary method to prevent the symptoms of GERD instead of being used as long-term therapy. Marshmallow helps protect your gastric mucosa and esophagus due to its high level of mucilage. Besides, it is good at soothing and anti-inflammatory effects. Especially, the taste of the marshmallow tea is great, so it is preferred as one of the home remedies for GERD. Ginger tea is not only a main ingredient used in the home remedy for GERD, but also many digestive diseases such as abdominal pain, indigestion, or nausea. The recipe using ginger is quite easy to perform. You can use the ginger tea bag for sale in the market or make ginger tea from the fresh root. Chamomile tea has been used as an effective home remedy for GERD. It helps balance the acid level in your stomach and relieve stress that lead to heartburn. Now making chamomile tea is very convenient as the dried chamomile is available for sale in the market. If you want to feel the pure flavor of chamomile, you can make this tea yourself. Some people think that garlic is one of the causes of heartburn or GERD. However, this is not entirely accurate. According to research, raw garlic is a great ingredient with anti-inflammatory properties and helps kill pathogenic microorganisms that cause gastritis. 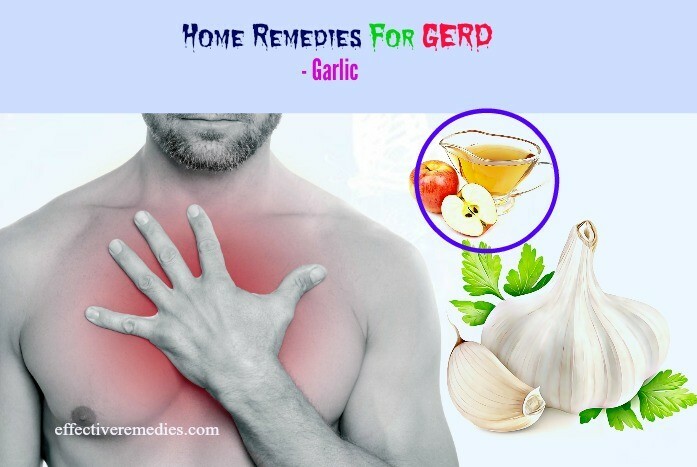 So, try using garlic as a natural home remedy for GERD. According to a study about, the caffeoylquinic acid in artichoke stimulates gallbladder secretion and helps reduce GERD's nausea, heartburn and other symptoms. Artichoke is also recommended by doctors for patients suffering from GERD. In addition, this herb also helps a lot resolve simple digestive diseases such as flatulence, indigestion. Consume foods that are rich in vitamin C such as orange, lemon, tomato, etc. as they have very good antioxidant and antihistamine effects. 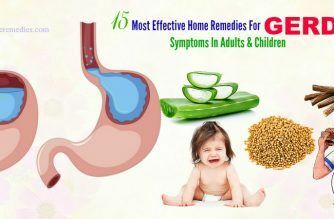 Here are 15 most effective home remedies for GERD symptoms in adults and children. These ways use easy-to-find ingredients that are 100% natural and safe. Try them now to feel the changes in your condition. If you don’t feel any improvement in your condition after applying a long time, see your doctor for help as you may catch some other health issues. All contents provided are for informational and educational purposes. We recommend you consult a healthcare professional to determine which method is appropriate for you.